Where are you? 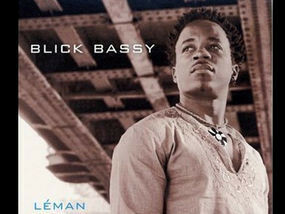 Home > Reviews > Blick Bassy - "Leman"
First solo CD from Cameroon’s rising star who is part of the Bassa ethnic group (originally nomads from Egypt). He grew up surrounded by music, not only Bassa musical traditions but his family's collection of music from Western soul greats like Marvin Gaye. He then moved to Paris in 2005 where he worked with many top African musicians like Manu Dibango.